Frankenstein is a horror story dating back to the 1800′s that has been adapted many times and is still prevalent today. In fact, the movie “I, Frankenstein,” which is set to come out in theaters on January 24, is yet another modernized adaptation of Mary Wollstonecraft Shelley’s original horror novel. Incredibly, Shelley penned Frankenstein when she was only twenty-one years old, which was a groundbreaking feat for a woman living in the 19th century. Boris Karloff dressed as Frankenstein’s monster for Universal Studios’ 1931 film production of Frankenstein. Shelley was born on August 30, 1797. She was the daughter of feminist Mary Wollstonecraft, who wrote A Vindication of the Rights of Women. Unfortunately, Shelley’s mother died shortly after Shelley’s birth, and her father William Godwin was left to care for the family. Godwin had a number of guests over the household, such as Samuel Taylor Coleridge and William Wordsworth. These guests, along with her father’s extensive library, supplemented Shelley’s education about literature. She published her first poem in 1807, when she was only ten years old. Shelley began a relationship with one of her father’s students, Percy Bysshe Shelley, in 1814. Percy Shelley became a widely regarded Romantic poet after his death, having published “Ozymandias,” “Ode to the West Wind,” “The Skylark,” and others. Percy was already married to his first wife when he and Mary Shelley eloped. They traveled Europe together and jointly wrote and published a travelogue entitled History of a Six Weeks’ Tour. Mary and Percy married in 1816. At the suggestion of Lord Byron, with whom Mary and Percy were staying in Switzerland in 1816, Mary Shelley began to write a horror story. 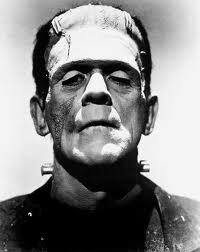 In 1818, Mary Shelley published Frankenstein, or the Modern Prometheus anonymously. Initially, many believed that Shelley’s husband had written Frankenstein because he wrote the introduction to his wife’s novel. Frankenstein is the tale of a man who brings a monster to life by stitching together parts of human corpses and electrifying them. He must later deal with the consequences of his controversial feat, and he grapples with dark themes such as the moral limitations of science. After Shelley published Frankenstein, she and Percy moved to Italy. Percy Florence, born in 1819, was the only child of the couple who lived to adulthood. Percy Shelley drowned in 1822, and after his death, Shelley wrote several more novels (Valperga, The Last Man) and worked to promote her late husband’s work. Mary Shelley died on February 1, 1851 at the age of 53. Her novel Mathilde was finally released in the 1950s. Although Shelley wrote numerous other works, Frankenstein was the piece for which she was most recognized by the literary community. Additionally, Shelley tried to avoid the public eye later in her life. In 1989, Emily Sunstein published the biography Mary Shelley: Romance and Reality, which analyzed Shelley’s complete body of scholarly works. Since Sunstein’s book exposed Shelley’s wider talent, many of Shelley’s letters, journals, essays, and short stories have been republished and newly recognized. Mary Shelley said that she wanted to write a story that would “curdle the blood, and quicken the beating of the heart.” Nearly two hundred years after its first publishing, her novel Frankenstein is still held in high regard. Mary Shelley managed to succeed as a female novelist at a young age, striking fear into the hearts of thousands in the name of the horror genre.